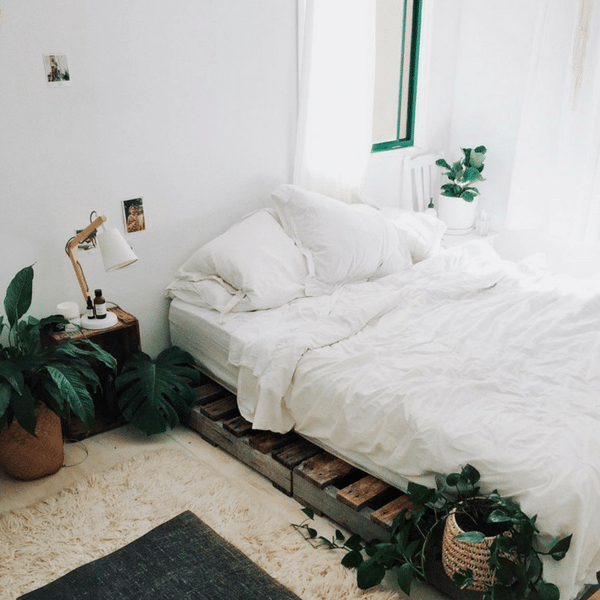 Weather you are needing a little inspo for styling your fresh new white bedding or just wanting to change up your current style – we have got you covered! Continue reading to check out some of our fave #yohomeau set up’s featuring our crisp White 100% Bamboo Bedding ! Luciana (@lucianarose) setting up her White Bamboo with a pallet bed & a few plants! Elle (@elle_fit) keeping things nice & airy with her all with bedroom! Gorgeous girl Brooklyn (@brooklyngreenfield) keeping things simple by matching up our White Bamboo Bedding with a nice piece of greenery! Contrast Perfection! Rachel (@racheljames) pairing our White Doona Cover with our Bamboo + Bamboo Charcoal Sheet set! Feeling inspired? I know we are! CLICK HERE to check out our White 100% Bamboo Quilt Cover Set & get the look! Don’t forget to post a pic of your styled white set and tag us on Instagram @yohomeau & #yohomeau – We love to see what you can create!